We are pleased to announce that on March 15 it is our 10th Anniversary!! What an amazing 10 years it has been and what a lot of FUN cakes we have made!! From appearing on The Today Show and Shark Tank… who would have thought? Then making the cake for The Hangover Movie, that was an interesting e-mail with the subject “Hangover” lol and then seeing it on the BIG screen. I couldn’t have dreamed so BIG !! Now in 300 grocery stores and about to go into another 500… life is good!! Our most memorable project was for MAC Cosmetics, making 350 cakes in three weeks and then shipping them all over the world – even Paris – wow!! BUT I have to say the best part of owning FunCakes is talking with so many brides, about to have the most important day of their life and we get to be a part of it !! I haven’t met a Bridezilla yet, I don’t think they exist. Maybe some people call a bride a Bridezilla because they know exactly what they want, well duh’ , its the most important cake of their life, I would be just the same :). I thank each and every bride that shares their dreams, their vision and love with us, we look forward to meeting many more wonderful Brides and making many more gorgeous cakes! NOW how do we celebrate 10 years of being in business?? I say lets celebrate with cake! If you visit our FB page there is a FREE give away, a $500.00 value for a wedding cake. The drawing will be March 15th , so hurry. Just like our page, comment and share the posting and you’re in the running! BUT that is only one bride winning, not enough for 10 years of being in business. So any custom order cakes that come through by March 15th will have $100.00 off! 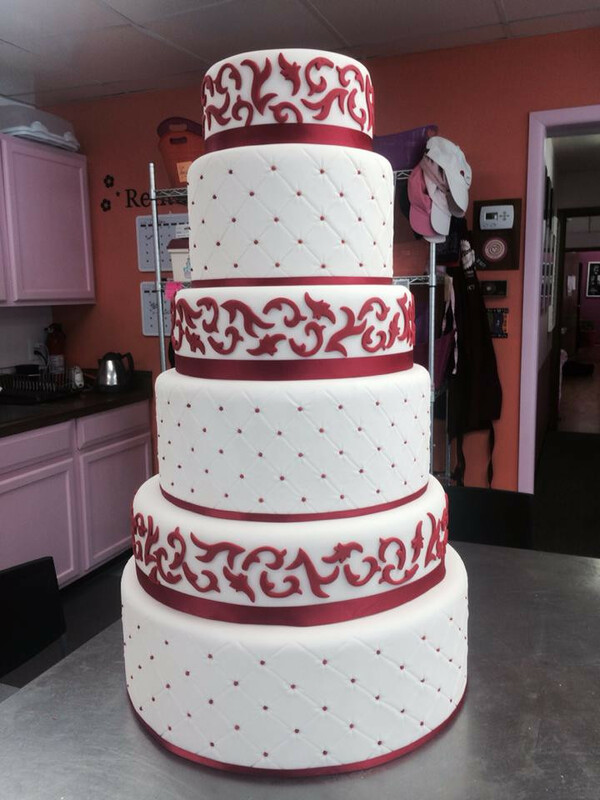 Send us a picture of the cake you want and we will price it out for you, then take $100.00 off. Deadline is also March 15th. « Valentine’s Day – Did he POP the Question? ?